The Fordham law professor said he gets why people in Massachusetts seem to want nothing to do with having Tamerlan Tsarnaev, the suspected Marathon bomber, buried anywhere in our midst. There is hardly any precedent for the near-unanimous community opposition to his burial within their borders. For days now, his body has languished in a Worcester funeral home, as the funeral director, cemetery directors, and elected officials debate his fate. In the aftermath of serious crime, the public usually shows little interest in where criminals go to rest. But the Marathon bombing — its pain so raw — is different. Opinion seems to be broadly sympathetic to the officials and cemetery directors who have pointedly refused to accept his remains. It has created the spectacle of a body in a Worcester ­funeral home, ready for burial with nowhere to go. 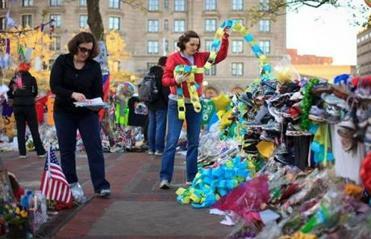 Mayor Menino will not allow the body of Marathon bombing suspect Tamerlan Tsarnaev to be buried in the city. It isn’t as though there aren’t truly awful criminals already buried in Massachusetts soil. Albert DeSalvo, the Boston Strangler, confessed to 12 murders during a crime wave that ranks among the most famous and heinous in American history. Yet he is interred at Puritan Lawn Memorial Park in Peabody. His lawyer, F. Lee Bailey, told me he doesn’t recall any controversy about burying DeSalvo. Peter Stefan, director of the Graham ­Putney & Mahoney Funeral Parlors in Worcester, maintains that burying Tsarnaev is a matter of civility. Governor Deval Patrick chimed in, arguing that his burial was a “family matter,” albeit one his family needs to soon settle. Clearly the public disagrees. Arguments vary from moral revulsion to hesitation over creating a gathering place for people who somehow conclude he deserves sympathy. Meanwhile, those who want him buried immediately fret that the longer this goes on, the greater the chance of transforming a cold-blooded killer into some kind of martyr. What does it mean to bury someone, anyway? Is it simply a resting place that even the most demonic are entitled to as a human right? Or is a burial place a form of community, in which some are simply not fit to be neighbors? He has to be buried, but I can understand the feelings of those who resist doing it here. I want this criminal’s burial to stop drawing atten­tion from the tragedy he wrought. This is a distraction from our mourning. What might fit the bill is a pauper’s grave at a prison, where he could be interred, but out of the public view. It may be as close to justice as Tamerlan Tsarnaev is going to get.